South Korea will play host to one of four Euro Ice Hockey Challenge (EIHC) tournaments next month in preparation for the Asian Winter Games in Sapporo, it has been announced. The competition, where the host nation will be joined by Hungary, Denmark and Japan, is scheduled for February 6 to 12. 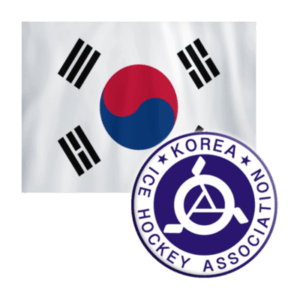 It will be held in the Goyang in Gyeonggi Province, northwest of Seoul, and represents the first time the country has ever played host to an EIHC tournament. The event will see the four teams compete in a round-robin format. The EIHC is a series of friendly competitions which are staged during international breaks set by the International Ice Hockey Federation (IIHF). They are held each September, November, December and February. Austria, Poland and The Netherlands have been chosen to hold the other three EIHC tournaments in Feburary. South Korea, ranked at number 23 in the world, claimed a shock win at the last EIHC event in Budapest in Hungary in November. The Asian side overcame the hosts 3-2 in the final to earn their first EIHC triumph. Their previous best result came when they finished second in 2014. The 2017 Asian Winter Games in the Japanese city, which staged the Winter Olympic Games in 1972, are due to take place from February 19 to 26. South Korea have never won an ice hockey gold medal at the Asian Winter Games and they will be hoping the EIHC will allow them to fine-tune their preparations for the event in Sapporo. The country will also be making their debut appearance at the Winter Olympics on home ice at Pyeongchang 2018 as they qualified by virtue of being the host nation.